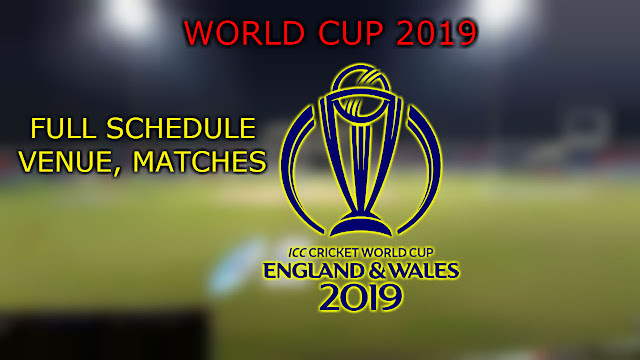 The Cricket World Cup 2019 is the 12th edition of ICC Cricket World Cup. It will be held from 30 May 2019 to 14 July 2019. ICC Cricket World Cup 2019 is scheduled to be hosted by England and Wales. It is the fifth time that England and Wales hosting the cricket world cup following 1975, 1979, 1983, 1999 world cups. The world cup 2019 will feature only 10 team i.e. only 10 teams will qualify for ICC world cup 2019. 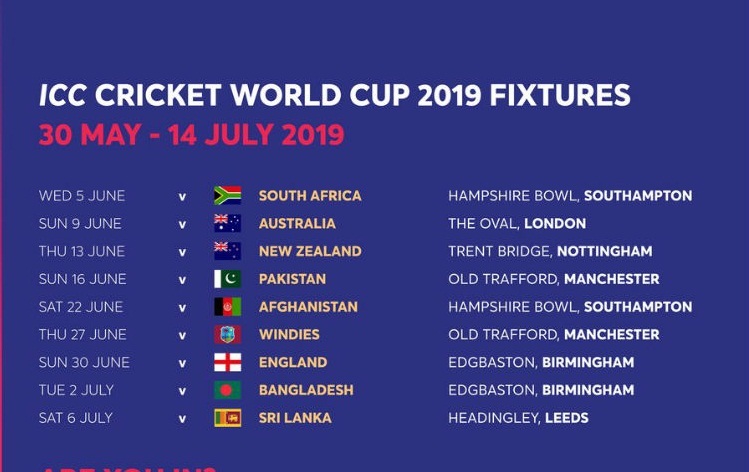 The first match will be played at The Oval (London) on 30 May and final will be played at Lord’s (London) on 14 July 2019.